This might be the best-looking colorway of Nike Kobe AD "BM" City Edition. I have a great affinity for black and yellow color scheme so this colorway is really attracting to me. 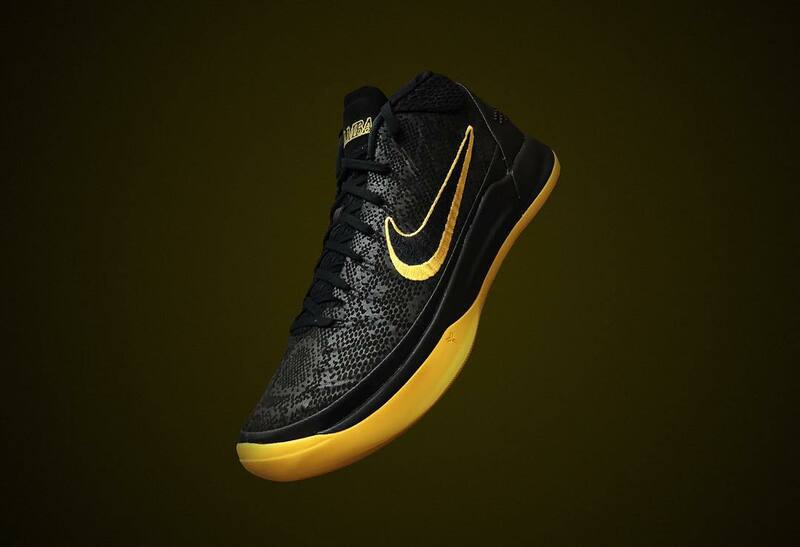 Black upper with snakeskin pattern which is really Mamba-esque. The tongue of the shoe has an inscription in Lakers' typeface that says Black and Mamba on the left and right side respectively. Even the yellow swoosh logo has some Lakers vibe to it with that shadow stitching just like their jersey numbers. Finally, a yellow solid rubber outsole adds some pop making the whole colorway simple but classic looking. The good news is this is already available here in the Philippines for Php 8,095 at various Titan stores as well as their website.